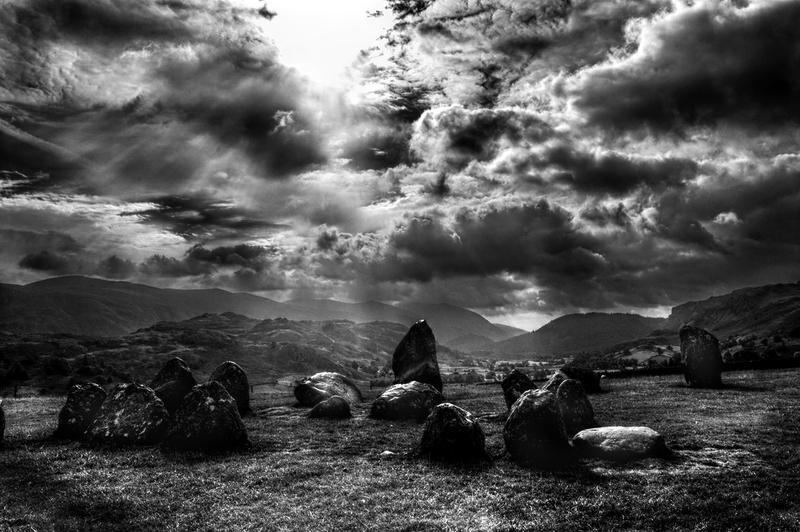 On approach to this ancient stone circle I was taken by the silence it was as though by passing through the low stone wall all the modern sounds and distractions were swept away by the sheer power of what men had built so long ago. I had arrived for sunrise but as is so often the case in this country the clouds had rolled in and it was impossible to shoot anything meaningful. However I had come a good distance to photograph these monuments so I decided to wait and see if the light improved. Well it never really improved and i was reduced to shooting in the brief moments when the sun managed to appear from behind the cloud cover. Coming away from the shoot I was disappointed in the day’s efforts and promptly dismissed the images. Some months later I decided to revisit the RAW images to see if anything could be salvaged. This image is the result, and the moral of the story never dismiss what nature provides and never discount the talent you can bring to bear on a project.